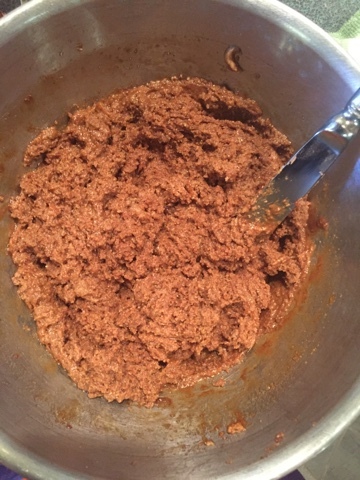 Lightly beat the egg in a medium bowl. 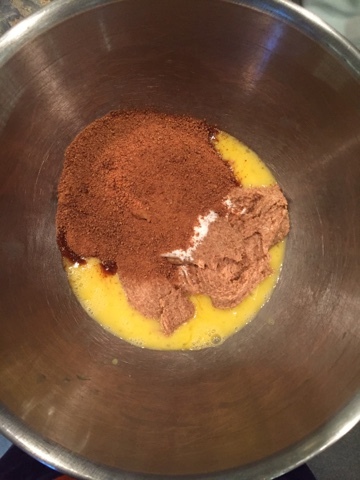 Thoroughly mix the almond butter, baking soda, and coconut sugar into the beaten egg. 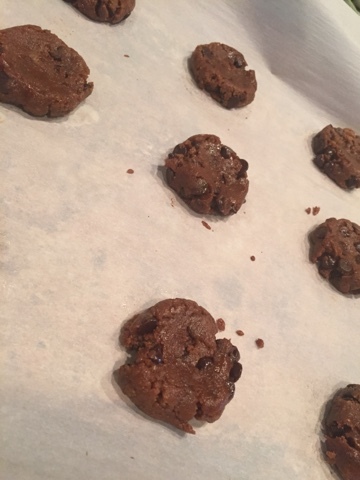 Scoop the dough onto a parchment paper lined cookie/baking sheet.Use a tablespoon to make the dough balls the perfect size. 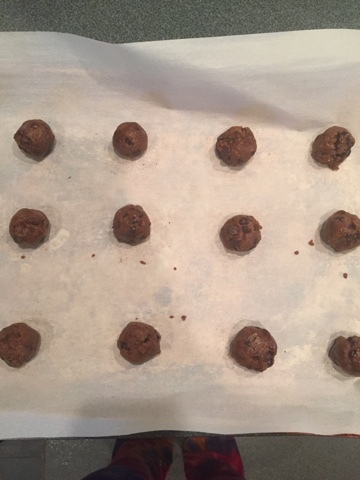 After spacing the balls well apart, the baking sheet should hold twelve. 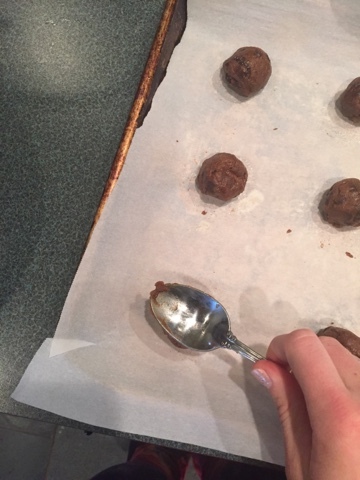 Using a spoon, slightly flatten the dough balls to a thickness of approximately half an inch. You may reshape the squished dough for a more aesthetically pleasing finished product. 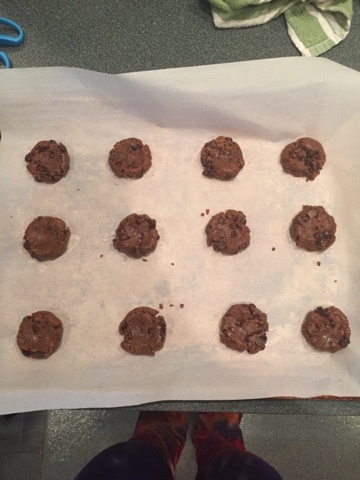 Bake for 8 to 10 minutes and do not over -bake. 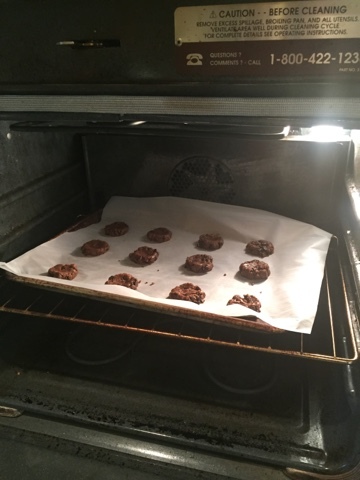 The cookies will look and feel underdone; however, the baked cookies will become firm once cooled. 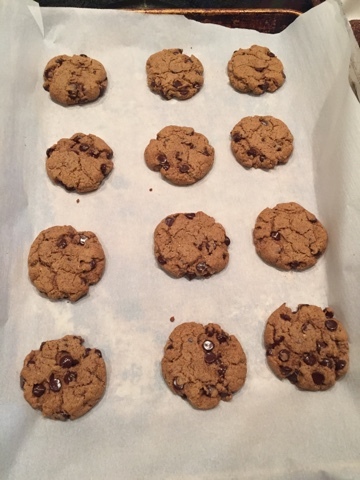 Once the cookies have cooled and firmed on the baking sheet for a few minutes, move the cookies to a plate or plater for serving. 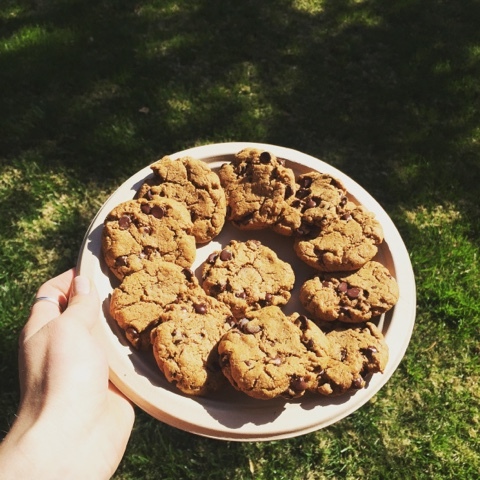 When I made my cookies, I made my own almond butter. Refer to my later posts to learn how to make your own. 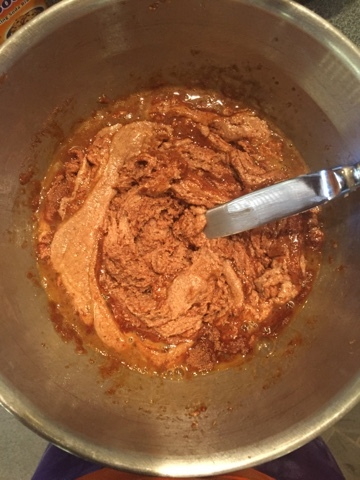 In my recipe, I used “blonde” coconut sugar; however, I believe coconut sugar in any form would be substantial. 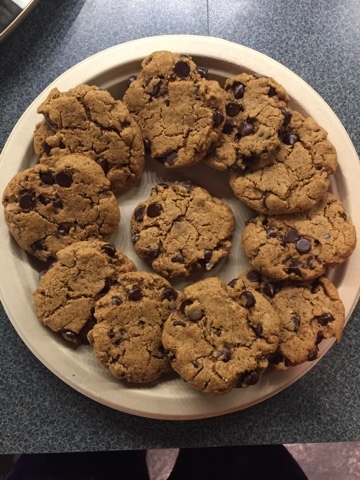 To satisfy the Paleo diet, I used Lily’s Dark Chocolate baking chips. 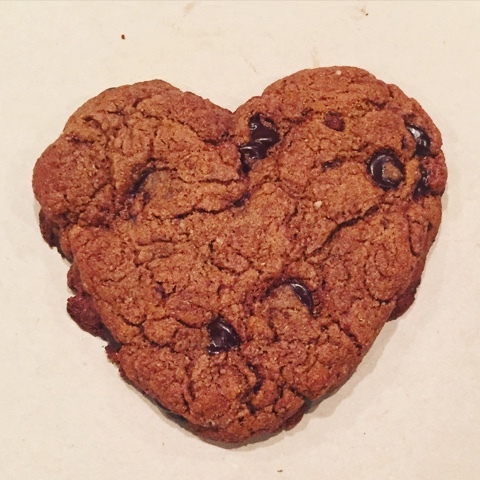 Stevia sweetens Lily’s chocolate chips and are 55% cocoa, vegan, and non-GMO.